Your architectural plans are complete. Now you’re ready to hire your contractor. McCree Contractors & Architects has a long history of collaborating with our local and national peer architects. To your advantage, we review the provided architectural plans and prepare them to the conventions that work best with our construction team. This process typically translates into cost-saving opportunities, verification of contractibility and the clarification of standards. We smooth out the construction process because we anticipate and avoid many of the complicating “translation factors” that emerge between architects and contractors. 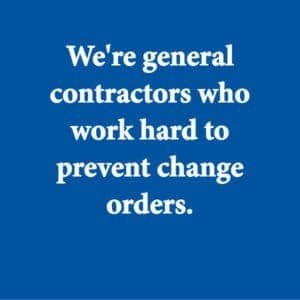 We’re general contractors who work hard to avoid change orders. Our unique expertise saves us stress, time and money. Since 1926, McCree has offered commercial general contractor services to the Central Florida market. Please review our portfolio. Chances are that if you’ve lived and worked in the Greater Orlando area for a year or more, you’ve been in a McCree building.